This morning I put in my fourth 20-minute session weeding a backyard terrace. It was a complete mess, now it needs maybe one more go and it is complete. I have an almost done book. It has been almost done for weeks. Today in less that 20-minutes I moved it forward and expect to have it wrapped in another couple rounds. Whatever is dragging down your spirits and waking you up at night is solvable, easily so. 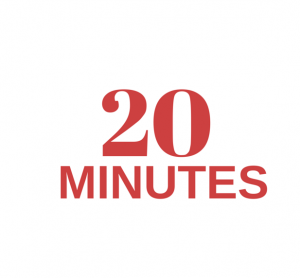 Just take it 20-minutes at a time.